What is this grant program? We anticipate two FY18 NLG-L funding opportunities, each with two separate deadlines. In addition to the opportunity described in this Notice of Funding Opportunity, a separate NLG-L funding opportunity is anticipated to be announced in December 2017 with a preliminary proposal application submission due date in February 2018. Both opportunities are subject to the availability of funds and IMLS discretion and procedures. What are indicators of successful projects? National impact: Your proposal should address key needs, high priority gaps, and challenges that face libraries or archives. It should expand the boundaries within which libraries and archives operate, show the potential for far-reaching impact, influence theory and practice, and build upon current strategic initiatives and agendas in these fields. This could include far-reaching impact across sizes and complexity of institutions; rural or tribal libraries; and/or networks or consortia of cultural heritage institutions that involve libraries or archives. Current significance: Your proposal should appropriately address a critical emergent issue facing libraries and archives. It should be positioned to catalyze efforts across the field based on a clear understanding of existing work, opportunities, and the broader (e.g., economic, demographic, technological, social) environments and influences surrounding and supporting libraries and archives. Strategic collaborations: Your proposal should involve key stakeholders and partners necessary to ensure it can succeed and have broad impact from a variety of domains and sectors. These collaborations should establish or build on mutually beneficial national partnerships with allied organizations beyond the library and archives sector with the potential to broadly elevate the role of libraries and archives and expand services to new audiences. Collaborations may strengthen expertise, leverage resources, or enable expanded reach. Demonstrated expertise: Your proposal should articulate a thorough understanding of current theory and practice. It should establish how the team possesses the necessary skills, experience, and knowledge to realize significant shifts across the sector. It should also demonstrate a thorough understanding of the realities of implementation and the ultimate user adoption of new services, practices, or perspectives. What are the IMLS agency-level goals? What are the funding and project categories? Your application must designate one of these five funding categories. You may submit as many applications as you wish; however, the same proposal may not be submitted to IMLS under more than one category. Please note: you should submit proposals that focus on education and training of librarians to the Laura Bush 21st Century Librarian grant program. Sparks Grants support explorations of new approaches or implementations of existing approaches in new contexts. You may propose activities or approaches that involve risk, but the project results—be they success, failure, or a combination thereof—must offer a potential impact beyond the applicant’s own institution. Outcomes may include new processes, workflows, standards, protocols, tools, or services. Sparks Grants are for periods of one year. Planning Grants allow project teams to perform preliminary planning activities, such as analyzing needs and feasibility; solidifying partnerships; developing project work plans; or developing prototypes, proofs of concept, and pilot studies. Assessing the outcomes of planning activities should be appropriate to this early stage of work. Applications are expected to provide a basic framework for planning activities that have the potential to lead to a future project. 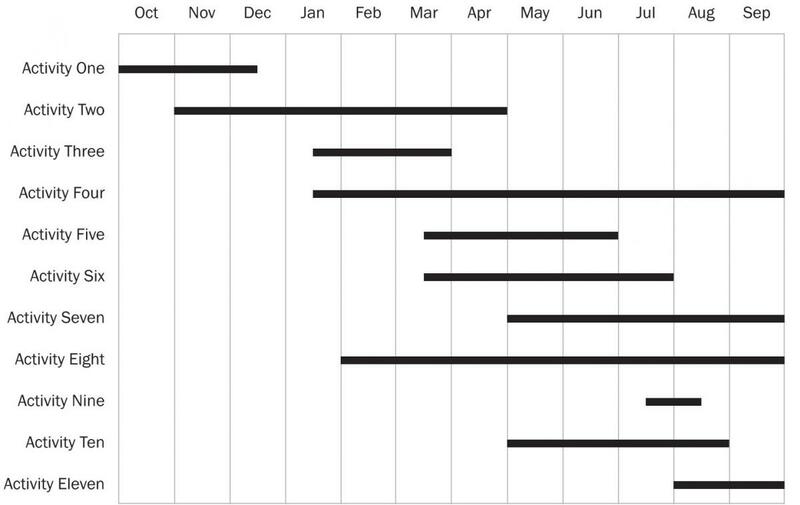 Planning Grants are for periods of one year. National Forum Grants provide the opportunity to convene qualified groups of experts and key stakeholders, including those from adjacent fields as appropriate, to consider issues or challenges that are important to libraries or archives across the nation. National Forum grant recipients are expected to produce reports for wide dissemination with expert opinions for action or research that address key challenge(s) identified in the proposal. Additional mechanisms for engaging stakeholders and building awareness of the findings are encouraged. National Forum Grants are for periods of one to two years. Project Grants support fully developed projects for which needs assessments, partnership development, feasibility analyses, prototyping, and other planning activities have been completed. Given the national focus of the program, it is essential that projects have clear potential for significant national impact, involve partners from multiple parts of the country, and realistically address growth and sustainability. Projects may scale or further evolve an earlier phase of work, but should not simply sustain an existing project. Project Grants are for periods of one to three years. Research Grants involve the investigation of key questions important to library or archival practice. Basic and applied research projects should build upon prior empirical or theoretical work in libraries and archives or other fields, such as anthropology, learning sciences, sociology, etc., as appropriate. Research proposals should include clearly articulated research questions; feature data collection and analysis methods that help the project team answer their questions; and include dissemination strategies that allow the research team to share broadly the research findings and implications of the findings for libraries and archives. See guidance for research applications [internal link]. Research Grants are for periods of one to three years. Your application must designate one of these three project categories. You may submit as many applications as you wish; however, the same proposal may not be submitted to IMLS under more than one category. Below is detailed information about each project category. Identifying, establishing, and refining methods for collaborations between libraries and stakeholders to address community needs. The strategies and frameworks that are developed must be broadly applicable and have the potential to be scaled and implemented in a variety of settings at a national level. Possible partner organizations might include, but are not limited to museums, school systems, youth service organizations, community development groups, city departments, urban planners, or workforce development organizations. Exploring and/or developing new, replicable, design-based, and responsive library programming models and tools that engage communities and provide learning experiences for patrons across the lifespan, with a focus on underserved communities. Identification of opportunities should be based on thoughtful analysis of community needs through a range of approaches that might include asset mapping, innovative partnership development, public data mining, and creating indicators with the community. Possible audiences might include, but are not limited to, young children and their families/caregivers; tweens and teens; un- and underemployed adults; veterans; immigrants and refugees; people with disabilities; English language learners; and senior citizens. Developing, implementing, assessing, and scaling programs, services, and tools focused on meeting the needs of communities. These may include, but are not limited to workforce and economic development; civic and digital literacy; early learning; community archiving; and informal STEM education opportunities including gaming, making, and citizen science. Investigating widespread community challenges that both inform and are informed by current library and archival practice; feature mutually beneficial relationships between researchers and practitioners; and communicate research findings in ways that will lead to demonstrable improvements in library services, sustained community engagement, and increased reach to new and existing library and archive users and underserved audiences. Findings, including unexpected results and challenges, should be shared broadly—with other libraries and archives, institutions, communities, states, local governments, and individuals across the nation—throughout the grant period, rather than exclusively at the conclusion of a project. Project teams should work to ensure that new practices have the potential to be easily adoptable, affordable, sustainable, and widely implementable. Developing new or improving open source digital library tools that build on existing work, are grounded in the needs of a wide range of libraries and archives, and involve a range of partners who will be involved in iterative testing and use case development. This work might include improving usability, or user community involvement in these tools. Addressing intersections between digital issues facing libraries and cutting edge work in other sectors to yield broadly applicable modeling or analytic methods and tools. For example, projects might address digital humanities, digital sciences, civic data initiatives, or open educational resources. Projects should be collaborative in nature and draw from expertise in multiple domains and sectors. Researching the need for and impact of investments in national digital library infrastructures and services. This could involve the development of approaches to measuring and assessing the value and impact of digital collections to various user communities. It could also involve documenting opportunities for libraries to meet their users’ demand for digital content areas, such as ebooks, and might explore growth models, user adoption and retention, and mechanisms for sustainability for such infrastructures and services. This may also include work in digital inclusion efforts focused on expanding broadband access and connectivity. Rapid prototyping and testing of workflows and processes for preserving, providing access to and encouraging use and reuse of digital collections. Catalyzing regional or national efforts to establish plans for shared services for preserving, conserving, providing access to, and interpreting digital content for the research, educational, and public communities. Scaling out regional or national infrastructure and shared services for the management, description, or analysis of digital collections in libraries. These projects should build on or help the development of sustainable alliances and networks of libraries and include plans for broadening those alliances and networks. These projects should also clearly articulate how they plan to recruit and support smaller and mid-sized libraries’ engagement with infrastructure and services. Exploring methods and techniques for providing digital access to users at scale. This may include issues such as digital stewardship, data curation, applications of linked data, digital archiving with communities, or crowdsourcing. Where can I find the authorizing statute and regulations for this funding opportunity? Statute: 20 U.S.C. § 9101 et seq. ; in particular, § 9162 (National Leadership Grants). May 1, 2018–June 30, 2021. Project activities may be carried out for one to three years (please see section A4 above). Note: Please consult Section D below to see if there is any documentation that must be submitted to support an eligibility determination (for example, proof of private nonprofit institution status as determined by the Internal Revenue Service). What are the cost-sharing requirements for this program? An applicant organization may submit multiple applications under this announcement. Individual project directors may be named on multiple applications under this announcement. However, the same proposal may not be submitted to IMLS under more than one funding category listed in A4a. above. Generally, single institutions will receive only 1-2 grants per program during any one cycle. The application process for the NLG-L program is a two-phase process. In the first phase (Preliminary Proposal phase), all applicants must submit a two-page preliminary proposal by the deadline listed above. Selected applicants will be invited to submit full proposals in the second phase (Invited Full Proposal phase) of the process. Only invited full proposals will be considered for funding. How can we find the application package? The application process for the NLG-L program has two phases. In the first phase, all applicants must submit a two-page preliminary proposal (Part I: Components of Preliminary Proposals) by the deadline listed above. Selected applicants will be invited to submit full proposals (Part II: Components of Invited Full Proposals) in the second phase of the process. Only invited full proposals will be considered for funding. What content and form is required to make a complete application for Part I (Preliminary Proposal)? Instructions are listed in the following section. A preliminary proposal should be no longer than two pages and follow the general sections of a full proposal narrative: statement of national need, project design, and national impact. Briefly describe the national need for the project and its relevance to a project category, then lay out the project’s proposed work plan and projected national impact, including specific performance goals and outcomes. You must conclude the preliminary proposal with a budget summary. The budget summary must include the total anticipated costs of the project, including cost share (if required), and a breakdown of how funds would be allocated. Proposals that do not include a budget summary will be rejected without review. Save this document as a PDF. Make sure your organization’s name appears at the top of each page. Use at least 0.5-inch margins on all sides and a font size of at least twelve points. Include a project title at the top of the first page. In the first few sentences of your proposal, provide a summary that includes the: name of the lead applicant organization; amount of IMLS funds requested and amount of funds provided as cost share (if required); partner organizations; and main question, objective, or anticipated result of the project. If your proposal is selected for funding, this document may be published online. As such, it must not include any sensitive or confidential information. D2d. Who should I contact if I have questions while developing my proposal? Prior to submitting a preliminary proposal, applicants are encouraged to contact IMLS program officers, who can offer general information about the Notice of Funding Opportunity and the review process. IMLS program officer contact information is available on the National Leadership Grants program page. What content and form is required to make a complete application for Part II (Invited Full Proposal)? What library and community needs will the project address? This Abstract may be used for public information purposes, so it should be written for experts as well as a general audience. The Abstract must not include any sensitive, proprietary or confidential information. Download and complete the IMLS Program Information Sheet (PDF, 1.4 MB). Structure your Narrative according to the following outline, using the four section titles and addressing the bullet points beneath them. Address the sections of the narrative separately and in the same order in which they are listed below. In each section, be mindful of the characteristics of successful NLG-L projects in the areas of national impact, current significance, strategic collaborations, and demonstrated expertise; refer to Section A.2 for more information on indicators of successful projects. Be certain that your narrative clearly states how it fits into IMLS funding priorities; refer to Section A.3 for more information on IMLS agency-level goals. Limit the narrative to ten single-spaced, numbered pages. We will remove any pages above the ten-page limit and we will not send them to reviewers as part of your application. Make sure your organization's name appears at the top of each page. Use at least 0.5-inch margins on all sides and a font size of at least twelve points. Use Supporting Documents to provide supplementary material. Please be advised that reviewers may also choose to visit your organization's website, as listed on the SF-424S form provided with your application. If your proposed project is selected for funding, this document may be published online. As such, it must not include any sensitive or confidential information. What current, nationally significant challenge does your proposal address? Specifically, how will your project address the issues identified in the project category you selected? Does the proposal make a compelling case for the significance and timeliness of the proposed project? How well does the proposed project address the goals of the NLG- L program and project category? Are the goals, projected outcomes, and assumptions clearly stated? Do the goals and outcomes align with the indicators of successful projects and agency-level goals in Section A above? Will the activities achieve the listed goals and outcomes? Is the schedule of work realistic and achievable? Is a clear plan described for tracking the project's progress and adjusting course when necessary? How does the project design allow for input, consensus building, and buy-in from others inside or outside the field? If the project involves working with the community/public how will their perspectives and contributions incorporated in to the project design? Who is the audience for the project and how will they participate? Are audiences clearly described? Does the project design account for relevant and appropriate outreach, engagement, and attrition strategies? If applicable, what are your plans to meet the needs of underserved communities? How are those needs assessed and those communities involved in creating and implementing parts of your work plan? If applicable, are plans to meet the needs of underserved communities clearly articulated and realistic? Are the identified time, personnel, financial and other resources appropriate for the scope and scale of the project? Are the proposed evaluation activities and performance measurements appropriate for the project? Will project activities result in findings that can inform future work? Is there an effective plan for communicating results and sharing findings in a manner that has potential for national impact? How do you plan to sustain the project beyond the funding period (if applicable)? Is there a plan for sustaining the project beyond the period of funding and, if so, is the plan realistic and appropriate? What is your theoretical or conceptual framing? How will you translate and publicly share research findings for practitioners? See also Guidance for Research Applications for further guidance on how to write an effective research application. Is the dissemination and communication plan comprehensive in terms of broad reach to researchers, practitioners, other communities of interest, and the public? Who are the diverse or underserved communities that will be served by this project and how were they identified? Does the application appear to adequately identify and describe the diverse or underserved communities involved in the project? What are the unique needs of the community members that will be served by this project? Does the application appear to adequately describe the needs of the communities that will be served by this project? How will the proposed project address the needs of those communities? How is the community involved in defining the needs and in the implementation of the project? Do the proposed activities appear to appropriately address the needs of the diverse or underserved communities? How might your project scale, transform practice, or otherwise lead to systemic change within the community and at the national level? Does the proposal make a compelling case for how it might scale, transform practice, or otherwise lead to systemic change within the community and at the national level? What are the findings or products from this project that will benefit multiple institutions and audiences? Are the project's intended findings or products results clearly articulated, appropriate, and realistic? Will the proposed project generate results that can extend beyond a single institution to benefit multiple institutions and audiences? How will you ensure project products are readily adaptable to other institutions and communities? Does the proposal adequately describe how it will ensure products will be readily adaptable to other institutions and communities? For Project Grant and Research Grant proposals only: How do you plan to sustain project outputs or resources?? Referring to the Performance Goal(s) and Performance Measure Statement(s) selected on the Program Information Sheet prepared for your application, how will you collect and report the corresponding data? Are the Performance Goal(s) and Performance Measure Statement(s) described and explained? IMLS defines digital products very broadly (digital content, resources, assets, software, or datasets). You should review all of the questions in the Digital Product form to determine if your proposal contains any digital products. If your application is not creating ANY digital products, please check the box indicating no products at the beginning of the form. If you are creating digital products, you must complete the Digital Product Form by providing for each section the corresponding information or stating “Not applicable for this project” in each respective section. In any event, your application will be considered incomplete if it does not include a completed Digital Product Form. Click here for Guidance for Projects that Develop Digital Products. If either of the conditions below (nonprofit status or federally negotiated indirect cost rate) applies for your proposal, you must submit the appropriate documents. Failure to provide a conditionally required document will result in your application being considered incomplete and rejected from further consideration. What are the registration requirements for submitting an application? SAM.gov is the official U.S. Government system that consolidates the capabilities of previous registration systems such as CCR/FedReg, ORCA, and EPLS. There is no fee to register with SAM.gov. Click here to learn more about SAM.gov registration. When and how must we submit our application? For the National Leadership Grants for Libraries Program, Grants.gov will accept applications through 11:59 p.m. U.S. Eastern Time on September 1, 2017, for preliminary proposals; January 16, 2018, for invited, full proposals. Is there an intergovernmental review? Reviewers are instructed to evaluate applications according to the review criteria included within the Narrative instructions in Section D.2 of this document. Reviewers consider all Required, Conditionally Required and Supporting Documents, as listed in Section D.2. Is cost sharing considered in the review process? What is the review and selection process? We use a peer review process to evaluate all eligible and complete applications. Reviewers are professionals in the field with relevant knowledge and expertise in the types of project activities identified in the applications. We instruct reviewers to evaluate applications according to the review criteria. Reviewer conflicts of interest are identified prior to review, and reviewers who may have conflicts with particular applications are reassigned to review other applications. What is the designated integrity and performance system and how does IMLS comply with its requirements? When will we be notified of funding decisions? How will we be notified of funding decisions? What are the administrative and national policy requirements? Organizations that receive IMLS grants or cooperative agreements are subject to the IMLS General Terms and Conditions for IMLS Discretionary Grant and Cooperative Agreement Awards (PDF 278 KB) and the IMLS Assurances and Certifications. Organizations that receive IMLS funding must be familiar with these requirements and comply with applicable law. At a minimum, you will be required to submit a performance report and financial report annually. Reports are due according to the reporting schedule that is part of your Official Award Notification for Grants and Cooperative Agreements. Grantees must submit reports electronically using the IMLS performance and financial report forms. In support of the agency’s commitment to open government, interim and final performance reports may be made accessible on the IMLS website to engage the public in communities of practice and to inform application development and grant making strategies. Click here for IMLS staff contact information for this program. IMLS staff are available by phone and email to answer programmatic and administrative questions relating to this grant program. How can we participate in a webinar for this IMLS funding opportunity? Program staff hosts webinars to introduce potential applicants to funding opportunities. Click here for a schedule of webinars and instructions for accessing them from your computer. What do we need to know about acknowledging IMLS support? What should we do if we are including confidential or proprietary information in our application? What do we need to know about sharing and copyright of IMLS-supported work products and managing digital products? Where else can we find additional information about IMLS? Is IMLS obligated to make an award as a result of this announcement? How long should it take us to complete an application? Grant Program: Make one selection in each category: 3.b.1 (funding category), 3.b.2 (project category).